Singapore's outstanding cultural diversity has had a truly significant effect on Singaporean as well as Asian art. Many local galleries specialise in Asian art, with unique pieces sure to enchant both the experienced collector and the novice. 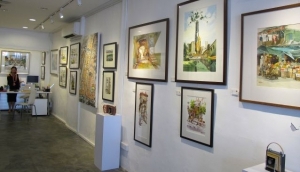 Explore and experience Singapore's vibrant and vital art scene by visiting some of the most outstanding galleries the island has to offer. Immerse yourself in beautiful Asian art - photographic images, paintings, sculpture and more. The galleries will certainly be happy to guide you, if you wish to complement your personal collection. They will also be happy to offer advice and direction for all of your shipping needs.